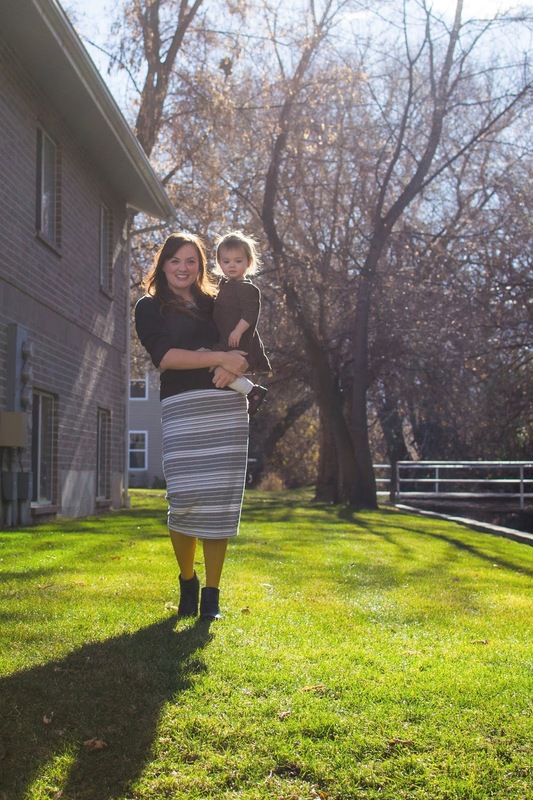 I’ve talked before about how I used to kinda sorta judge stay-at-home moms who stayed in their sweats all day and talked about how it was such a struggle to get dressed. At the time, I was a full-time teacher who needed to dress somewhat professionally every weekday, so it was no problem for me to put some effort into what I looked like every day. Plus, I was also going through a bit of a “style revolution” at the time (mostly thanks to my reading WAAAAAY too many fashion blogs and magazines), and I enjoyed coming up with different clothing combinations and pushing my style comfort limit just a little more day by day. 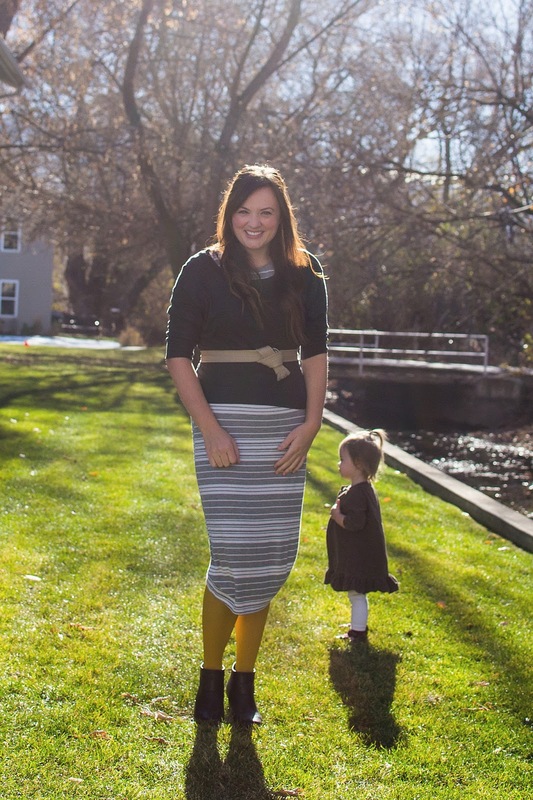 When I became pregnant with Raven, my love of style and getting dressed in “real clothes” every day started to seriously wane by the end of the second trimester. 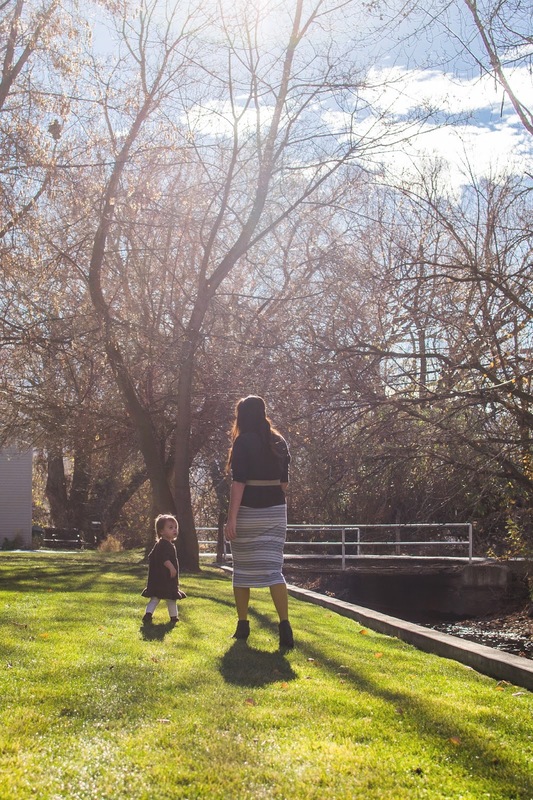 I was quickly outgrowing every piece of clothing I had (AND that I’d bought for the pregnancy), and seemingly every piece of clothing I put on my body felt uncomfortable. One of the (many) reasons I looked forward to giving birth already was so that I could finally stop feeling like a stuffed sausage in everything I put on. Well, the postpartum body blues hit me harder than I thought they would (mostly because the weight didn’t come off as fast as I thought it would, despite my best efforts, and also because the AI disease diagnosis seriously threw a wrench in EVERYTHING to do with my body image due to the weight retention of the medication). All of this is to say that even though I was still teaching at the time, the zest for getting ready every day had all but disappeared, and even though I still forced myself to do it, I hardly ever put in one iota more of effort than I absolutely had to (which translated to me looking pretty frumpy a lot of the time). And now, being a full-time SAHM, my attitude towards getting dressed unfortunately hasn’t changed too much. I consider it a serious accomplishment if I am dressed and ready for the day before noon (and on some days, it’s a serious accomplishment if I get ready at all), and I feel like I rarely put serious effort into what I look like. Part of that reluctance to get dressed is because we don’t leave the house that often (and there are usually about half the days in the week when we don’t leave the apartment or apartment complex’s grassy area at all). The other reluctance comes because I still haven’t found pants that are truly very comfortable since giving birth that actually look good. Sure, I’ve bought myself about four pairs of pants postpartum, but none seem to fit right and about half aren’t really too comfortable at all. So the self-defeating thinking that starts creeping in when I get ready and feel like I don’t look as good as I used to anyway makes the whole thing feels rather futile, and I stop getting ready for the day, which only feeds the beast that says that I’m just not as attractive as I used to be. Our culture will tell her she can sit in her sweatpants all day watching TV, forgetting to brush her teeth, and letting Elmo babysit, (those things all have their time and place – believe me!) but I’d tell her that motherhood can and should be an intentional position of leadership. Being a mom is like being a guide. We show our kids what to value, where to spend their time, and how to take care of themselves and their surroundings by what we model. Yes, motherhood will be all of things people tell you it is – messy, full of mistakes, and selfless – but after you’ve gone to the bathroom and had a good cry about that, tell yourself that it is not an excuse to just survive every day. Create good, intentional habits in your home. These don’t have to be Pinterest-mom-perfect. I’m talking a Word document with some chores printed out and stuck to the refrigerator. Or a ritual of nightly prayers with your kids. Or family dinners (we love pancake night!) at 6. But be intentional. How much of my mothering since staying at home had seemed like “just surviving”? And how much had staying in pajamas all day and not bothering to take care of myself half the time contributed to that feeling? I’ve been thinking a lot lately about that. About what being intentional looks like for me. And I realized that I want my daughter to take care of herself–to take pride in her appearance every day (not in a vain way, naturally, but in a “I know my value and I want to put my best face forward” kind of way). But how on earth will she learn to do that if I don’t model it first? So it looks like one of my new year’s resolutions for 2017 will be about getting dressed every day, in real clothes, in an intentional way (and earlier than noon). But I think it’s what I need now, funnily enough. 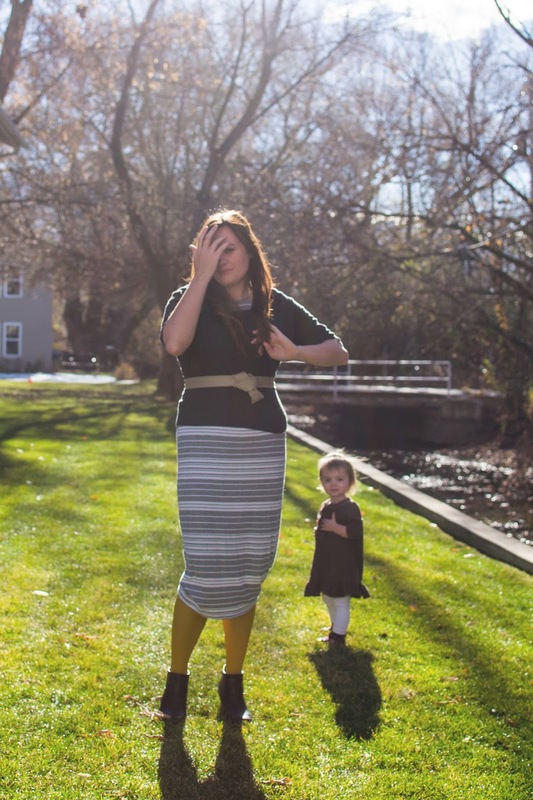 Other moms—do you struggle getting dressed every day? How do you beat back the tendency to just lounge in sweats or yoga pants all day? Do you even try?